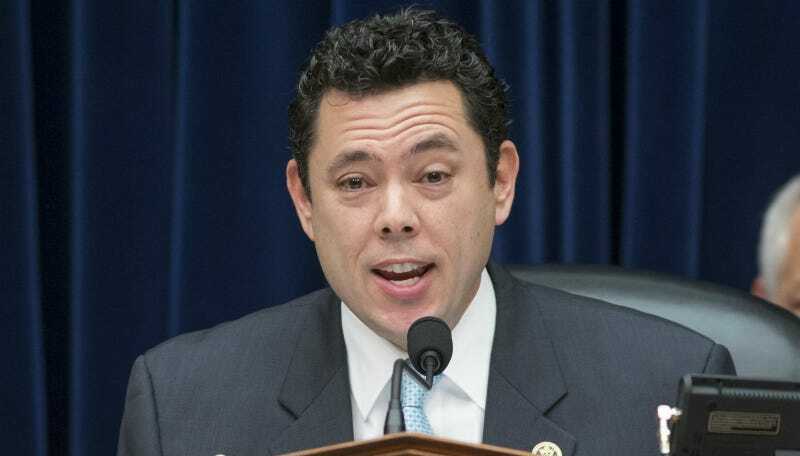 Republican Congressman Jason Chaffetz has sent a furious letter to the Office of Government Ethics for openly criticizing Donald Trump’s very shaky plans to deal with his conflicts of interest. Chaffetz chairs the House Oversight Committee, which funds the ethics office. He indicated that maybe they won’t fund the ethics office anymore, if they’re going to keep criticizing Trump. Politico reported Thursday night that Chaffetz is threatening to subpoena the OGE, and is demanding that its head, Walter Shaub, submit to an interview by the end of the month. The New York Times published the full letter that Chaffetz sent to Shaub; in it, he accuses the OGE of “blurring the line between public relations and official ethics guidance” in their criticism of Trump. Chaffetz seems particularly mad about a series of sarcastic Twitter posts the OGE’s official account sent to Trump in November, mock-congratulating him for deciding to divest himself from his businesses. Trump is not actually doing that. Your agency’s mission is to provide clear ethics guidance, not engage in public relations.The Committee is thus continuing its examination of operations. statutory authorization lapsed at the end of fiscal year 2007 and the Committee has jurisdiction in theHouse of Representatives for reauthorizing the office. To help the Committee understand how you perceive role, among other things, please make yourself available for a transcribed interview with Committee staff as soon as possible, but no later than January 31, 2017. The Committee may also need to interview additional witnesses pursuant to this review. Shaub’s office indicated at the time that such omissions could be appropriate if the person involved was speaking on behalf of an organization and not in their individual capacity. However, other ethics experts disagreed and said the honoraria directed to charity should have been reported. Shaub spoke to the Brookings Institute earlier this week, where he said plainly that Trump has to divest himself from his businesses. He added that no, asking the future president to take a financial hit isn’t unreasonable.